As soon as you wake up drink 2 big glasses of water, to re-hydrate. Drink a large glass of fruit juice. The glucose in the juice will help to metabolize the remaining alcohol in your system. Coffee will help with headaches, by narrowing the swollen blood vessels in your aching head. Limit yourself to 1 or 2 cups. You don't want to become dehydrated again. 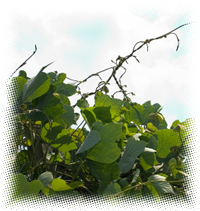 Kudzu tea is the Asian remedy for alcohol poisoning. Drink a cup of kudzu tea, combined with chrysanthemum flowers if you have them. Don't fight the urge to vomit, it helps cleanse your system. Eat a light meal as soon as your stomach is settles down. Alcoholism :In the recovery of long term alcohol abuse the healing process should begin with restoring the liver and de-stressing mind and body.